Last fall I took an education course on instructional design. Here’s something I learned: when curriculum professionals are hired to create a course, perhaps to improve employee performance in a workplace, one of their first questions is, “Is this actually an instructional problem?” In other words, can the situation be improved by teaching, or are there other factors such as (for example) outdated equipment? 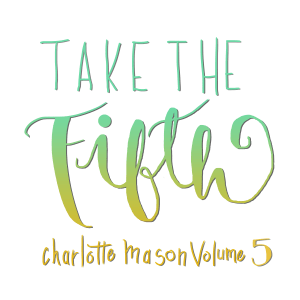 The premise of Charlotte Mason’s fifth volume is that the formation of character is indeed an instructional problem. We cannot blame chronic moral under-performance on faulty equipment, or on corrupt management. We might prefer to avoid the training required in new “best practices”: it’s not going to be an easy course. However, the reward offered for completion is huge. The first section of Formation of Character is a catalogue of case studies and “interventions,” told from multiple points of view. Were these stories based on real people that Charlotte Mason knew? Did she make them up completely? We have no way of knowing. However, we should be less concerned with discussing the individual details of each case than with examining the common threads between them. These stories are about principles, not particulars. They are demonstrations of ways to train good habits (and un-train bad ones), and, more importantly, to open the Way of the Will full throttle. The stories examine our conscious and subconscious desire for rewards, especially attention and affirmations of love. Charlotte Mason described these desires elsewhere as natural appetites. If we’re not fully assured of our acceptance and acceptability, we—adults or children—may go around like the slovenly servants in Poldark, grumbling “Tedn’t right. Tedn’t fair. Tedn’t kind.” Or we may find more subtle ways to send the same message. The two youngest children described in this section, Guy and Kitty, are assumed to be not yet fully responsible for controlling their thoughts. Guy has regular meltdowns in the nursery, and Kitty, although she is old enough to be doing some school lessons, has no power of attention. The first phase of Guy’s “cure” may sound close to behaviourism, even manipulation, but, as Mason liked to say, two streams can start in the same place and run downhill in different directions. The adults’ plan of distracting and preventing Guy from succumbing to his temper offers him the experience of changing his thoughts—a job he is not yet up to doing without help. It is the equivalent of teaching a motor skill hand over hand. As Guy becomes more self-aware during the story, he is given tools to match his increased abilities in choosing “I ought, I will.” In Kitty’s case, she is given some accommodation in activities such as arithmetic, so that she can learn the required material in more enjoyable ways; but she is also to be taught “the power of attention…the power of giving your mind to what you are about…” (p. 29). Kitty’s “cure” includes giving her immediate success at paying full attention for a very short time, and praise for finished tasks. Note that in neither of these cases are the children simply assumed to be “bad,” or that their desires are “sinful.” Guy and Kitty are viewed as individuals, allowed to own their own thoughts; but they are also seen as needing to develop healthy relationships with others, not to be allowed to turn the nursery upside down or spoil others’ work and play times. The adults do not dominate the children, but they are held responsible for strengthening the children’s character muscles to the point that they will be able to run under their own power. The case studies of older children and adults are more complex, and examine “symptoms” such as sulking, careless use of time, compulsive lying, and psychosomatic illness. There is no absolute rulebook on why one person or another might fall into destructive patterns of thought and behaviour, or how they can be pulled out (or pull themselves out). Certain people, no matter what age, such as Agnes in “Under a Cloud,” and Dorothy in “Dorothy Elmore’s Achievement,” may need only a little serious discussion of the problem, and “get it” right away. Others, like Fred in “Ability,” seem to need both discussion and a bit of extra motivation, in the same way as “Inconstant Kitty,” making the errand or task a bit more interesting so that he can practice putting his mind to it. (Charlotte Mason gives a great deal of credit to parents’ creative thinking.) This is not always easy; blunt honesty is often demanded of either the one caught in the character trap, or the adult who allowed the child to fall into it. A common thread in this section is to look beyond the surface behaviour of children (or adults) who are whining or otherwise acting out; to try to discern why they are acting that way at this particular time; and to ensure that any punishments fit the actual crime. A child who accidentally or unknowingly damages a parent’s belongings (p. 69) is not acting out of disobedience or malice. He may need to be shown the right way to handle things, or to be told firmly that a certain cupboard, or an older child’s toy, is off-limits. But to aggressively punish non-defiant “misbehaviour” proves only that big people rule small people, that authority depends on what kind of mood they’re in, and that survival is about getting away with as much as one can. Adults discipling children should be trustworthy, not tricky. As in the case of Guy, it’s not rewarding bad behaviour if we give children choices to do something pleasurable: that is, before the tantrum has started. Wouldn’t we prefer to be given, or give ourselves, the same kind treatment, and show ourselves an equal amount of grace? Wouldn’t it be nice to tell yourself, “You’re super-tired, and I sense that you’re about to plunge into a tirade of tedn’t rights and tedn’t fairs, but that isn’t going to help you or anyone else, so quickly, let’s put some music on, here’s some tea, and look, the first issue of Common Place Quarterly just arrived, so turn your mind to that instead.” That’s not self-indulgence, that’s just saving yourself and those around you from a preventable hailstorm. One day several years ago, I remember there was a prediction of storms and high winds. We had planned to take our children to a group event at a park, but felt it was wiser to stay home. We expected that most people, like us, would be listening to the weather reports and taking precautions. Some people went to the park despite the wind, and at least one vehicle was badly damaged by falling branches. Here is the question: which of us, in that situation, showed more faith? Was it better to venture out and say, “Never mind the weather, we trust God?” Or to say that we trusted God rather to give us enough wisdom to stay home? Another way to put it: should God have received more glory for protecting the people who put themselves in danger, than He did for helping us decide not to do so? We do not question the faith of a gardener who puts up a fence before the lettuce is destroyed, or tell him to pray that God will miraculously keep the rabbits away. We do not suggest that he let tiny weeds grow into huge, unmanageable ones before he roots them out. “The parallel is exact,” says Sherlock Holmes: it is no less honouring to God to use the knowledge He has given us to quench a bad habit early in life, than it is to ask him to miraculously remove such an invasion later on. The next post in this series will appear on KarenGlass.net, and will continue our survey of the first section of Formation of Character. I enjoyed this post Anne, thank you! I had started reading Formation of Character about a year ago and left off, so this is a perfect opportunity for me to pick it up again. Thank you so much with helping put these into perspective. I especially appreciate your willingness to look at certain things (the dog example) and just recognize that in spite of all her genius CM sometime has things in her writing that tend to pull us off track and distract us from her overall message! Excellent & and so helpful. I could have done so much better parenting had I known these things many years ago, but I am learning them now! 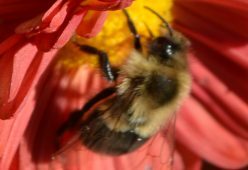 Previous Previous post: A co-blogging project!